please submit a Haitian Passport (or any international passport) No US passports will be accepted. The United Nations Civil Society Conference* is the premier event in the civil society calendar at the United Nations. It typically attracts an average of 2,000 representatives from more than 500 civil society organizations from over 100 countries. Each Conference focuses on a different UN topic of interest related to the work of civil society and NGOs. This international forum also brings together senior UN System officials, prominent international civil society organizations, academicians, public opinion makers and international media to discuss issues of global concern. The Conference offers civil society organizations an opportunity to put a global perspective on a specific issue. In recent years the focus has been on climate change, human rights, disarmament, global health, sustainability and volunteerism. This important gathering is also a unique occasion for civil society organizations to network and share best practices at the international level. Participation at the United Nations Civil Society Conference is open to representatives of civil society organizations associated with the Department of Global Communications and/or in consultative status with ECOSOC. Civil Society organizations not included in these groups are welcome to register for the Conference as well; however, they require an endorsement from a United Nations entity that is familiar with their work and can provide feedback on their eligibility. The UN Civil Society Conference explores ways and means for strengthening collaboration between local communities and global institutions. The three-day gathering of civil society organizations is organized by the Department of Global Communications (formerly DPI) in cooperation with the NGO/DPI Executive Committee and the participation of its associated civil society organizations and NGOs that have consultative status with the United Nations Economic and Social Council. If held outside of the United Nations Headquarters in New York, then the Department of Global Communications will liaise with relevant authorities of the Host Country, at the local and national levels. An outcome document will be drafted by civil society under the leadership of the Conference’s Chair, submitted for global consultations leading up to and during the conference, and presented at the closing plenary for adoption. Join us June 20-22, 2019! About Haiti Tech Summit: Founded by Forbes 30 Under 30 Entrepreneur, Christine Souffrant Ntim, Haiti Tech Summit brings together thousands of entrepreneurs, investors, celebrities and creatives under one roof together to address humanity’s greatest challenges via tech and entrepreneurship. It is a part of a 13-year initiative to turn Haiti into an international tech hub by 2030. Deemed the “Davos of the Caribbean”, Haiti Tech Summit has welcomed keynote speakers such as Jack Dorsey-founder of Twitter, President of Haiti- Jovenel Moise, Ben Horowitz- Investor in Facebook, etc. Companies represented for the past 2 years included Silicon Valley giants such as Google, Facebook, Uber, Airbnb, Facebook, Paypal, Mastercard, Linkedin, Github, Intuit, Dropbox, Sendgrid, Youtube, Intuit and Adobe. Headline speakers included the President of Haiti, His Excellency Jovenel Moise, Venture Capitalist investor of Airbnb and Facebook Ben Horowitz, Former Editor in Chief of Ebony Magazine Kyra Kyles, Founder of Draper Associates and Draper University- Tim Draper, and celebrity influencers such as Vicky Jeudy from Netflix series Orange is the New Black and music artists Michael Brun and J Perry. Ecosystem enabler networks included Steve Blank’s Launchpad, Galvanize, Puerto Rico’s Parallel 18, Pivotal Labs, Angel Hack Accelerator, WIN Lab, Startup Grind, Forbes 30 Under 30 listmakers, Brazil’s Laiob-Latin America Institute of Business, and Alter Ventures. The summit also welcomed leading local networks such as the US Embassy of Port Au Prince, Digicel, Royal Decameron, Ministry of Tourism, National Council of Telecommunications-Conatel, The Central Bank- BRH, CRS – Catholic Relief Services, Barbancourt, French Chamber of Commerce, Access Haiti, and Centre for Facilitation of Investments (CFI). Media represented included Forbes, Inc Magazine, Fast Company, Techcrunch, Black Enterprise, Ebony Magazine, NY Times, Atlantic Black Star, Haitian Times, Chokarella, Trace Media, Loop Haiti, Le Nouvelliste, Ayibo Post, Metropol, and Radio Caribe. Parallel18 just launched a new acceleration program in partnership with Facebook to support the growth of Caribbean startups that have outsized social impact potential and are focused on improving the lives of communities across the Caribbean. Startup Hub Caribbean will support 10 technology startups to scale their efforts and improve their products and services, to better tackle the myriad of fundamental challenges facing the region, as well as scale internationally. Facebook will provide technical support, mentorship, training on the use of Facebook products and tools, free access to a suite of products and services, and access to dozens of experts within the company. Tech-based startups with a functioning product already launched in the market. Applying companies must be located in any of the Caribbean islands and have a dedicated team seeking to expand their business to new markets. We’re looking for startups that are driving meaningful progress in the areas of gender equality; decent work and economic opportunity; industry, innovation, and infrastructure; climate change; and peace, justice, and strong institutions. Preferably, the company should have annual revenue between US $100,000 to US $1 million, but we encourage all startups to apply. Revenue will be a selection factor during the judging process but is not the only one. With the celebration of our 30th anniversary, Hope for Haiti is holding a Economy Challenge with a winning prize of $30,000! This competition is for Haitian companies, entrepreneurs, and organizations working on innovative projects, specifically in the South of Haiti and targeting Hope for Haiti’s core impact areas: Education, Clean Energy & Environment, Food Security, Healthcare & Nutrition, Eco-Tourism, and Technology. We challenge these entrepreneurs to innovate and present their ideas to a panel of judges comprised of Haitian nationals and other Hope for Haiti partners (representing aforementioned sectors). The deadline to submit your application is May 5, 2019. [Port Au Prince, Haiti- April 15, 2019] Haiti Tech Summit is pleased to announce its partnership with Hope for Haiti. There are 15+ industries represented each year at Haiti Tech Summit and institutions supporting work in education and health are always welcomed. As one of the most trusted organizations working to reduce poverty in Haiti, Hope for Haiti is focused on providing support and partnership for the Haitian people every single day. Its mission is to improve the quality of life for the Haitian people, particularly children. Want to collaborate with Hope for Haiti? You can connect with their team at Haiti Tech Summit at their booth. Haiti Tech Summit, founded by Forbes 30 Under 30 Entrepreneur, Christine Souffrant Ntim, is a 13- year initiative aimed at turning Haiti into an international tech hub by 2030. The summit agenda is in line with with the global World Economic Forum agenda of preparing emerging market countries for the 4th Industrial Revolution via technology. RSVP to join us on June 20-22, 2019. Deemed the “Davos of the Caribbean” Haiti Tech Summit brings together hundreds of entrepreneurs, investors, pioneers, and creatives under one roof to address humanity’s greatest challenges via technology. With previous headliners such as Jack Dorsey (Founder of Twitter), Ben Horowitz (Investor Twitter, Facebook), Tim Draper (Investor in Skype, Hotmail etc), the President of Haiti Jovenel Moise, Vicky Jeudy from Netflix Orange is the New Black, and VP+CEOs from Google, Facebook, Airbnb, Uber and more- the summit will be announcing 100 major speakers once again. [April 1, 2019- PAP, Haiti] In January 2019- at Davos during the World Economic Forum- the founder of Haiti Tech Summit, Christine Souffrant Ntim- announced Haiti’s largest global tech tour. 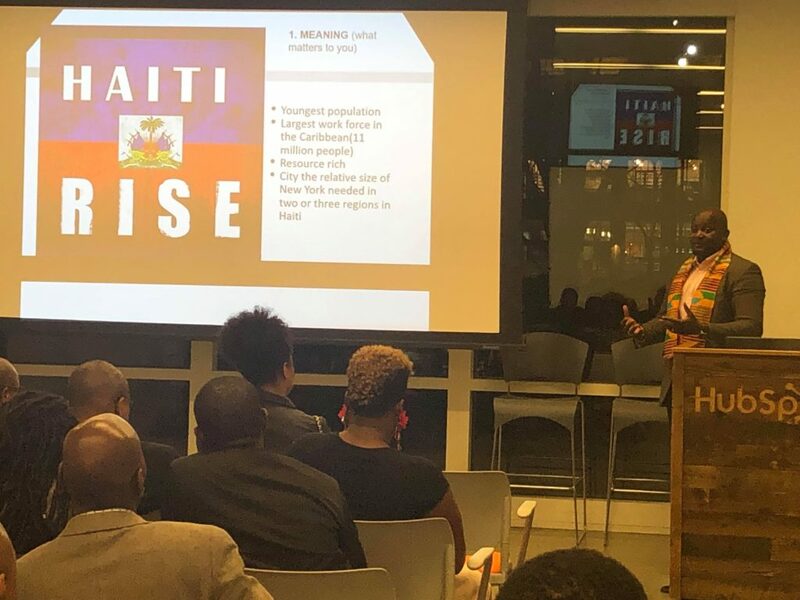 Spearheading a roadshow to 20 global cities where Haitian communities thrive- the tour was launched to galvanize the global Haitian community towards the Haiti Tech Summit mission of accelerating Haiti into the future. Over 1000 influencers will convene over the course of the tour where some sessions are as small as 15 coming together over roundtables to as large as 250 for networking expose sessions. 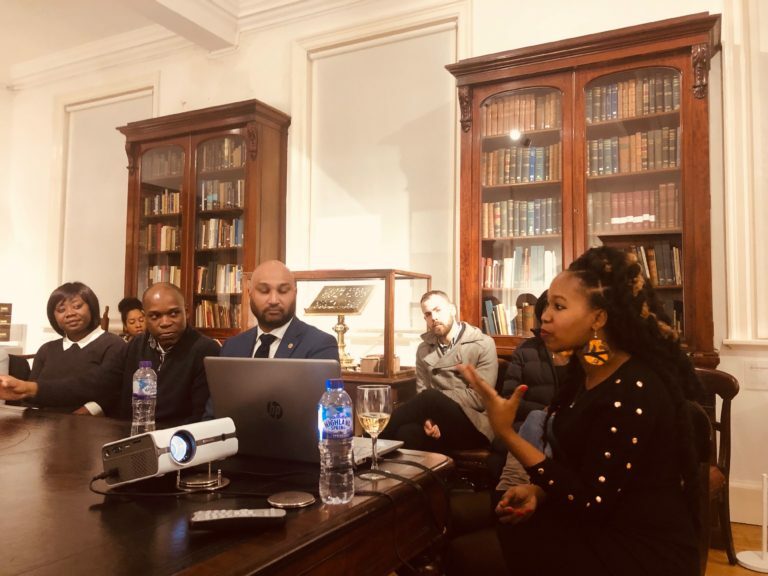 During the tour, Haitian diaspora and “friends of Haiti” gathered to discuss both the challenges and possibilities available to transform the future of Haiti. To bring the tour to a city near you- email the team at info@haititechsummit.com. The Haiti Tech Summit road show is back and we’re heading to Paris, London, Montreal, New York, DC, Miami, London, Dubai and Silicon Valley. Join global influencers within the Haitian tech and business ecosystem! Learn how to get involved and join us for the 3rd annual Haiti Tech Summit on June 20-22, 2019. To RSVP, go to Haititechsummit.com/tours. Hope to meet you at a roadshow near you. 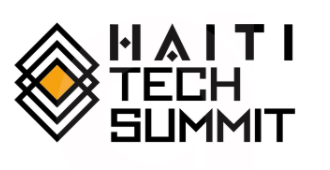 Don’t forget to RSVP for the 3rd annual Haiti Tech Summit on June 20-22, 2019. [Port Au Prince, Haiti- April 8, 2019] Haiti Tech Summit is pleased to announce its renewed partnership with Github. There are 15+ industries represented each year at Haiti Tech Summit and institutions supporting the next generation of tech coders are always welcomed. GitHub is a development platform inspired by the way you work. From open source to business, you can host and review code, manage projects, and build software alongside 31 million developers. More than 2.1 million businesses and organizations use GitHub, including IBM, Airbnb, Paypal, Bloomberg and more. Since 2017, Github has sponsored female coders to attend the summit and conducted in depth tech workshops. This year they return with the same mandate of building the next generation of developers in Haiti. Want to collaborate with Github? You can connect with their team at Haiti Tech Summit at their booth. [Port Au Prince, Haiti- April 1, 2019] Haiti Tech Summit is pleased to announce its renewed partnership with CRS – Catholic Relief Services. There are 15+ industries represented each year at Haiti Tech Summit and institutions supporting work in education and health are always welcomed. Want to collaborate with CRS? You can connect with their team at Haiti Tech Summit at their booth. Haiti Tech Summit is pleased to announce the first set of speakers for the 3rd Annual Summit Agenda: The 4th Industrial Revolution – Accelerating Haiti into the Digital Age. 100 speakers will represent different industry disruptions this year. RSVP now for your tickets now before the next deadline. For international women’s month we are featuring 4 female speakers who will be speaking at the 2019 gathering. Haiti Tech Summit, founded by Forbes 30 Under 30 Entrepreneur, Christine Souffrant Ntim, is a 13- year initiative aimed at turning Haiti into an international tech hub by 2030. The summit agenda is in line with with the global World Economic Forum agenda of preparing emerging market countries for the 4th Industrial Revolution via technology. RSVP to join us on June 20-22, 2019. Founding Executive Director of Venture Café Miami. To honor some of the power house women who have spoken at the summit- we are highlighting 6 previous speakers who addressed insights and strategies in government, media, finance, and culture. Several will be returning back for 2019. Jeudy is of Haitian descent, and appeared in the Netflix comedy-drama series, Orange Is the New Black. Senior Consultant and Creative Technologist at The New York Times. [Port Au Prince, Haiti- March 25, 2019] Haiti Tech Summit is pleased to announce its renewed partnership with the US Embassy of Haiti for the 3rd annual summit. The embassy has become an integral part of making the Haiti Tech Summit experience accessible to entrepreneurs in Haiti. For the 2019 edition, the U.S. will be expanding its support to entrepreneurs in the Caribbean. 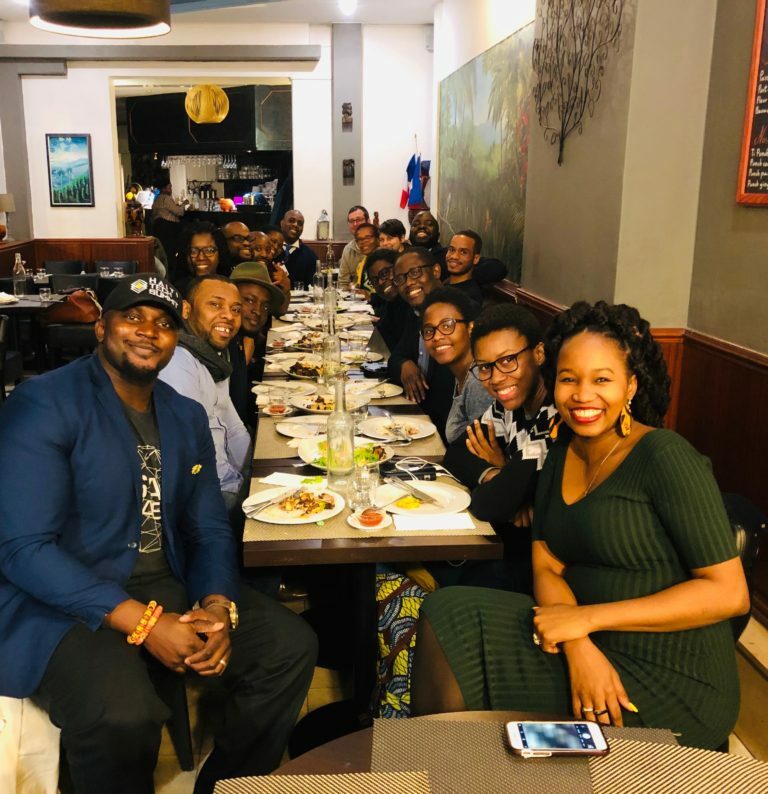 In 2018, the US Embassy of Haiti sponsored Haitian entrepreneurs from several departments across the country of Haiti to attend, pitch and receive mentorship from American tech influencers. Placing the spotlight on local entrepreneurs served as one of the top highlights of the summit. Haiti Tech Summit, since its inception became the largest tech conference in the Caribbean and has always welcomed entrepreneurs from across the region. Continuing its focus on the U.S. Caribbean 2020 strategy, the US Embassy will be sponsoring top entrepreneurs from the Young Leaders of the Americas Initiative (YLAI) based in the Caribbean. More information to come. [Port Au Prince, Haiti- March 25, 2019] The United States Embassy in Haiti announced its sponsorship of the 2019 Haiti Tech Summit, June 20 – 22, 2019. Alumni of the Young Leaders of the Americas Initiative (YLAI) based in the Caribbean are encouraged to apply now through April 12, 2019 for full funding here. As part of the Embassy’s on-going efforts to promote bi-lateral economic growth in part through entrepreneurship and in a broader effort to support the U.S. Caribbean 2020 strategy, the Embassy seeks representation from creators and innovators across the Caribbean to participate. Participants will be able to meet over one hundred speakers from Google, Airbnb, LinkedIn, Uber, and many others. Haiti Tech Summit, a 13-year initiative of Meventum, which brings together hundreds of entrepreneurs, investors, digital marketers and creatives to Haiti to accelerate tech, innovation and economic development within the country, have just opened applications for the event’s second annual Startup Lab – a 1:1 mentorship opportunity with global experts. Building on the first annual Pitch Competition of the 2017 Haiti Tech Summit, which engaged entrepreneurs from across the Caribbean for a chance to win a top prize of full coverage to Singularity University’s GSP program at NASA Ames in Silicon Valley, the event is expanding its scope to support the growth of entrepreneurs during the Summit itself. 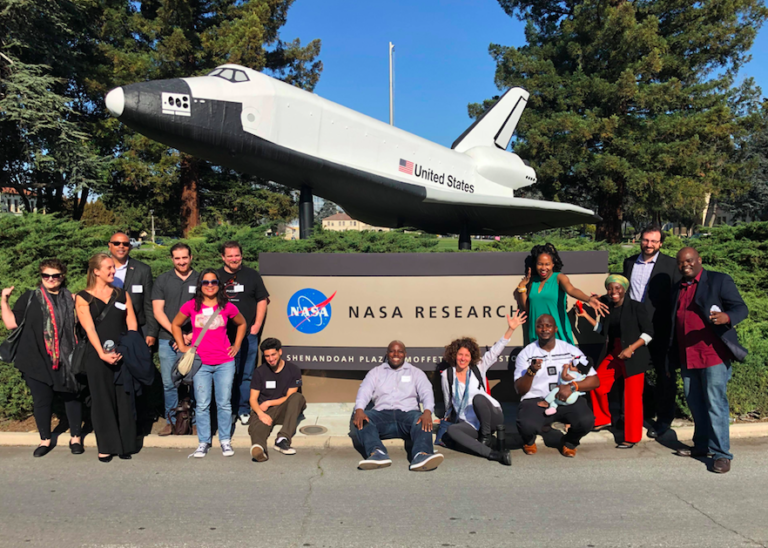 The first annual Startup Lab featured 25 amazing U.S. Embassy sponsored entrepreneurs from across the nation of Haiti. Come be a part of this innovative, networking opportunity. March 1, 2019 [Port au Prince, Haiti] Haiti Tech Summit is pleased to announce the 3rd Annual Summit Agenda: The 4th Industrial Revolution – Accelerating Haiti into the Digital Age. Haiti Tech Summit, founded by Forbes 30 Under 30 Entrepreneur, Christine Souffrant Ntim, is a 13- year initiative aimed at turning Haiti into an international tech hub by 2030. The summit agenda is in line with with the global World Economic Forum agenda of preparing emerging market countries for the 4th Industrial Revolution via technology. RSVP to join us on June 20-22, 2019. The Fourth Industrial Revolution (4IR) is the fourth major industrial era since the initial Industrial Revolution of the 18th century. It is characterized by a fusion of technologies with breakthroughs in robotics, artificial intelligence, nanotechnology, quantum computing, biotechnology, the Internet of Things, and more. With this being the baseline theme of the summit, the Haiti Tech Summit experience will have a series of future technologies on site such as robots, drones, 3D printers and more. Individual track- Learn how to build and monetize your personal brand in the digital age. Business track- Learn how to build startups that leverage future technologies or learn how to optimize your current business with the best digital tools available today. Ecosystem track- Learn how to start and scale a movement. From training on how to launch an incubator to how to launch tech events- we reveal the top strategies influencers can leverage to scale Haiti’s tech ecosystem. Phoenix VS Unicorns- Timeless Tech Titans – A look at IBM, Intel, Uber, Amazon, Google etc. Possibilities: Industry Disruptions- Learn about the future of adtech, edtech, musictech, etc. Media confirmed for Haiti Tech Summit 2019 include representatives from Forbes, Inc Magazine, Fast Company, Techcrunch, Black Enterprise, Ebony Magazine, NY Times, and Atlantic Black Star. Since the summit sells out each year, the organizers encourages participants to book their tickets by the next deadline- April 1st, 2019.